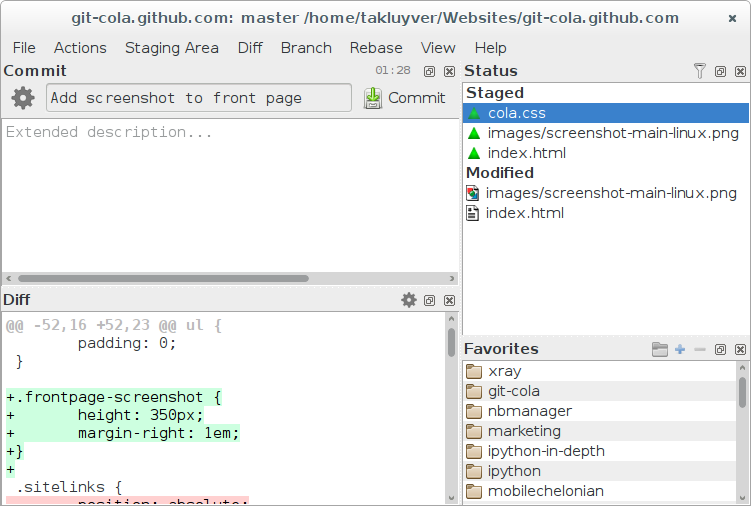 Git Cola is a sleek and powerful graphical user interface for Git. Git Cola is a sleek and powerful graphical user interface for Git. Git Cola is free software and written in Python (v2 + v3).